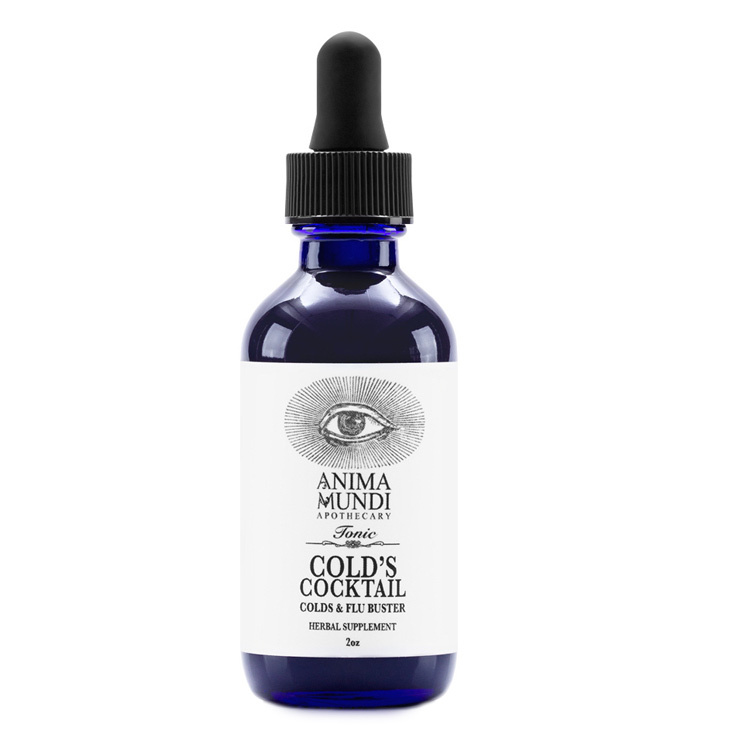 For a feel of boosted immunity and wellbeing next time you are feeling under the weather, try Anima Mundi Cold's Cocktail. 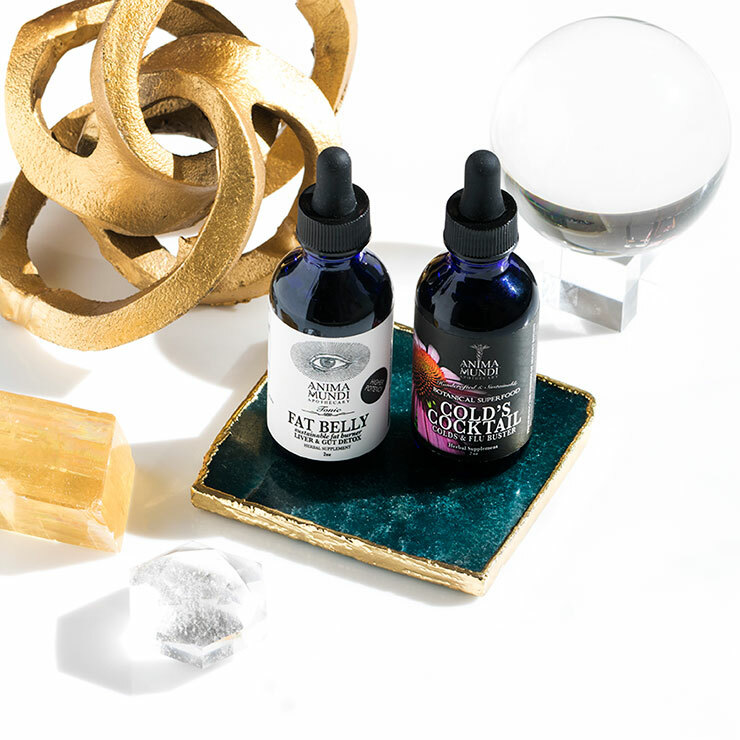 Formulated with powerful herbs to relieve discomfort associated with cold and flu, this potent tonic is a natural way to feel better fast. Ginger lends a detoxifying sensation to the body, and improves feelings of nausea, dizziness, sore throat, and cough. Turmeric is an anti-inflammatory ingredient that provides a sense of overall wellbeing and good health. Lemon peel is chock full of vitamin C to offer a feeling of improved wellness. Use at the onset of illness, or as a daily supplement during cold and flu season. 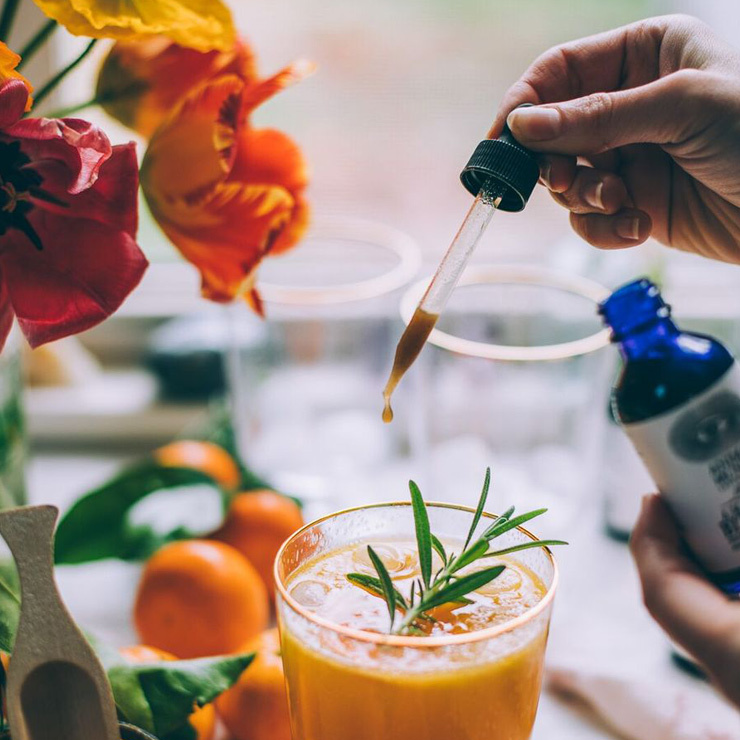 Consume 40-60 drops as needed, either alone or added to your favorite beverage. Try adding to a cup of hot tea for a feeling of soothing relief. Echinacea Purpurea*, Echinacea Augustufolia*, Avenca^, Ginger*, Turmeric*, Coldpressed Garlic*, Boldo*, Lemon Peel*, Apple Cider Vinegar*, Cayenne*.